Roll closed steel drum on its side to mix and blend contents. 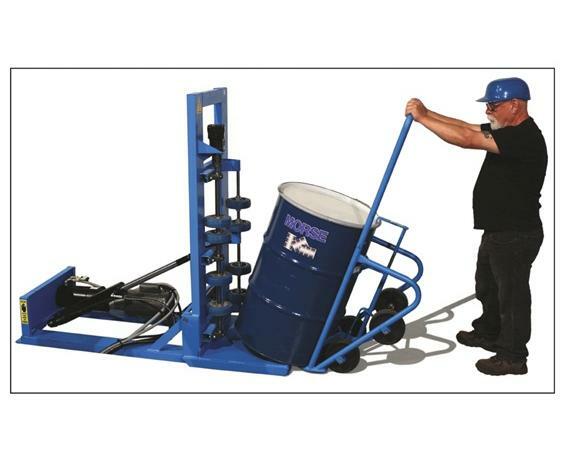 Lift drum from floor with built-in hydraulics. 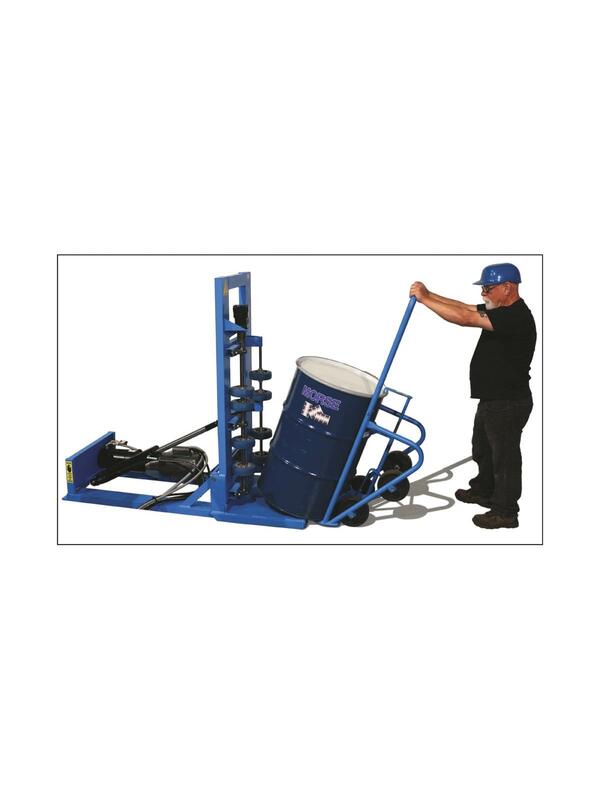 Hydra-Lift Drum Roller accepts a steel drum in upright position. You control the built-in hydraulic system to lift drum and place it quickly and easily for rotation. Start and stop rotation with a second control. Easy ergonomic loading and unloading. Roll drum at 5 to 20 RPM until contents are mixed as desired, then return to vertical to unload. Drum Rollers and Control Packages sold separately. Morse Control Packages include a timer, start/stop buttons, red emergency stop button, lockable main disconnect, and wire terminals for external safety interlock switch. FOB Shipping Point. Add the Morse Guard Enclosure Kit to meet the OSHA requirement that all drum rotators are enclosed with a safety interlock, so the rotator automatically shuts off if the enclosure is opened.